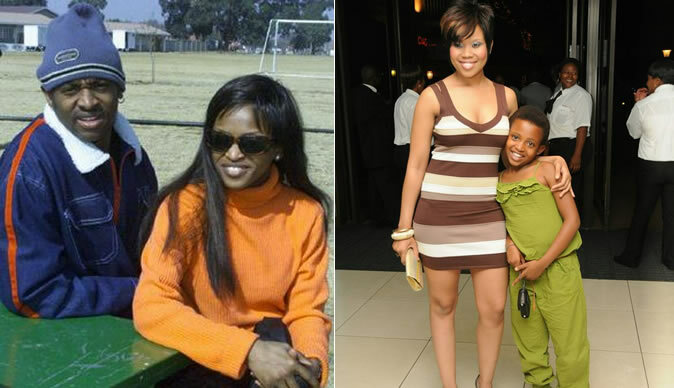 Former kwaito star Queen Sesoko desperately wants to have her daughter back from King of kwaito, Arthur Mafokate according to Sunday Sun. Queen, who is also known as "Iyaya" has given Arthur an ultimatum as she demands her baby girl, Owami. The former Abashante group member told Sunday Sun that her life has changed for the better. She's now a born-again Christian, and part of controversial Pastor Mboro's church. She told the People's Paper: "I'm thinking of Owami every day and I'm asking myself who plays the mother's role to her, if and when I'm not around. "What kind of a mum am I who can't raise her own kid? Next year I want my baby back full-time." Queen said she regrets things she did in the past, except being a mum. Her sad story all started when she broke up with Arthur. She bared her soul to Sunday Sun about her previous lifestyle which she said she is not proud of. Queen told Sunday Sun: "I broke away to start my own thing and things were tough until I was saved by God. "I used to wake up to a glass of alcohol. But that's in the past now. I'm a born-again Christian and I've abandoned my old friends and bad habits that came with fame." Queen added that she is now working on her gospel album. Sunday Sun contacted Arthur, who said he had no comment. queen I am a concerned fan, why do we never hear you talk about your husband Apostol Shadrack Nkuwa from Zambia who you used to preach gospel with at churches? what happened to the beautiful couple that helped us to know that there is no one major than the king himself. can we hear something?